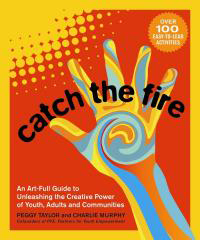 This book is a guide to using arts and empowerment techniques to bring greater vitality and depth to working with groups of youths or adults. Based on the idea that you don’t have to be a professional artist to use the arts in your work, this book invites group leaders to use creativity-based facilitation, regardless of previous experience. Includes more than 100 stimulating activities incorporating storytelling, theater, writing, visual arts, movement, and music.